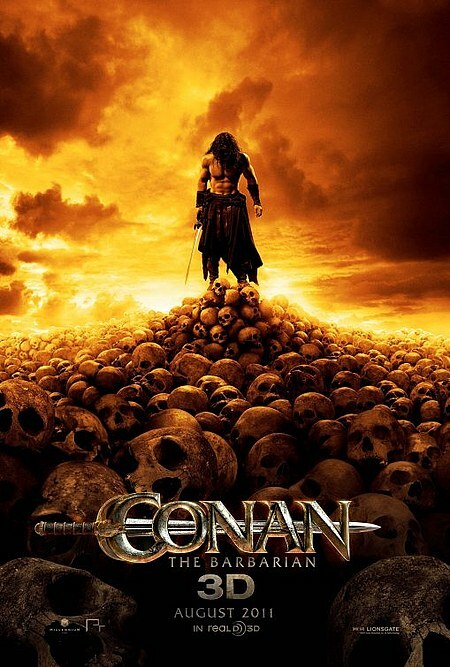 One of the film’s most inventive sequences features Conan battling sand warriors conjured up by the sorceress Marique (Rose McGowan). The way the warriors disappear and reappear into the ground is like something out of a video game, but it totally works. The film’s tone is dark and its violence is brutal, constant and gory. For me personally, the constant battles grew kind of tiresome by the end. Momoa is capable in the role of Conan. 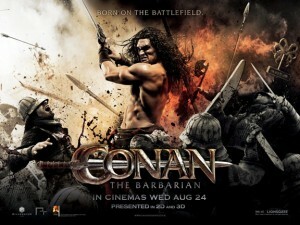 He certainly looks like Conan does in the comics anyway and can handle the brooding and iconic poses well. Though the entire cast struggles with the sometimes brutal dialogue (no one more so than Rose McGowan). The screening I saw was in 3D. I would argue the effect didn’t add anything essential to the film (unlike with Avatar for example), and is in this case is probably not worth the additional ticket cost. My main prior exposure to Conan has been through Kurt Busiek’s fairly recent excellent comics work over at Dark Horse. The one thing that series featured that this film lacked was a Conan who delighted in women, bars, thievery and violence for its own sake. While we see a hint of this Conan in a raid of a slave camp and its aftermath early in the film, that’s about it. Clearly he is surrounded by loyal companions who speak of their adventures with him. I wish the movie had spent more time showing this more “fun” Conan in the first act, before setting the brooding Conan on a collision course with his father’s murderer. Like a true barbarian, however, Nispel left very little room for fun, while attempting to squeeze as much blood into the movie as possible.